If you’ve never been happy with your breasts — whether you feel they are disproportional to the rest of your figure, whether they may seem asymmetrical, whether they’ve flattened and lost volume with age, or whether you’d simply like to have larger breasts — you may opt to have breast augmentation with Dr. Barrera. It’s a big decision, and it will be life changing. Augmentation can really change the way you feel about your body and even your overall self-image. But once you decide to move ahead with the surgery, there are a series of other choices you’ll need to make. When doing your research, you’ll need to consider these. Implant type. You’ll choose between silicone implants and saline implants — both types have pluses and minuses. Most people feel that silicone implants have a more natural feel than saline. However, if a saline implant ruptures, your body simply absorbs the salt water. If a silicone implant ruptures, you’ll need to have any silicone that has leaked removed. This is a little bit of a misconception, however, because if a saline implant ruptures, you will still require surgery to remove the collapsed shell and replace it. Although technically silicone, there is a newer type of implant, colloquially known as “gummy bear” implants. These implants are made with silicone gel that is highly cohesive, so much so that if a gummy bear implant ruptures, the gel remains in the shell and doesn’t leak out. Implant position. You’ll decide on the position of the implant, whether it will be placed atop or underneath the chest muscle. Dr. Barrera believes implants placed over the pectoral muscle have many advantages and behave more normally than those placed behind the muscle. He prefers to place implants atop the muscle unless the patient is extremely thin. Incision location. Where you want the incision will affect your scarring. Implants can be placed through incisions either at the bottom of the breast, at the base of the areola, or in the armpit. Obviously, incisions in the armpit leave the least visible scarring. Implant style. 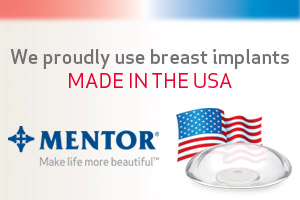 The last of your decisions will be the size and shape of your implants. Some implant styles feature more projection than others. Others, such as gummy bear implants, are teardrop shaped. You will also decide if you want your implants to have texture, which can help keep them from shifting. While these decisions may seem daunting, they’re not. Dr. Barrera will provide you with the necessary information to confidently make each one. Are you considering breast augmentation with Dr. Barrera? Call us at (713) 468-5200 to schedule a consultation.